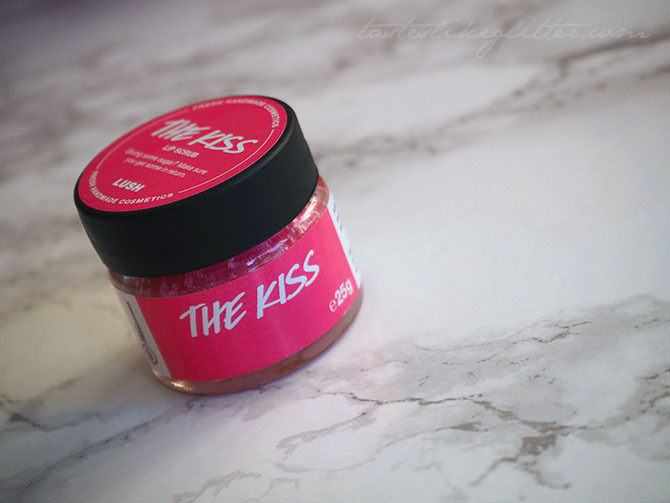 Lush Lip Scrub - The Kiss. I had planned to get this review up before this product was taken off the site, but alas February was not a great month for me so here we are! This was first released for Valentine's 2015 and was rereleased for 2016 also. I thought I'd pop up a little review as I have no doubt they'll bring it back next year. Upon opening the jar you're greeted with a delightful, bright pink sugar scrub embedded with edible red sequin hearts. It shares it's scent with The Kiss lipgloss which I have personally never tried but again, it's one they release year after year. It's a fizzy, candy scent that reminds me of Love Hearts. I've tried numerous different scrub variations from Lush and I think this is quite possible my favourite. It's not as sickly as the Bubblegum scrub which is the one it's most comparable to. 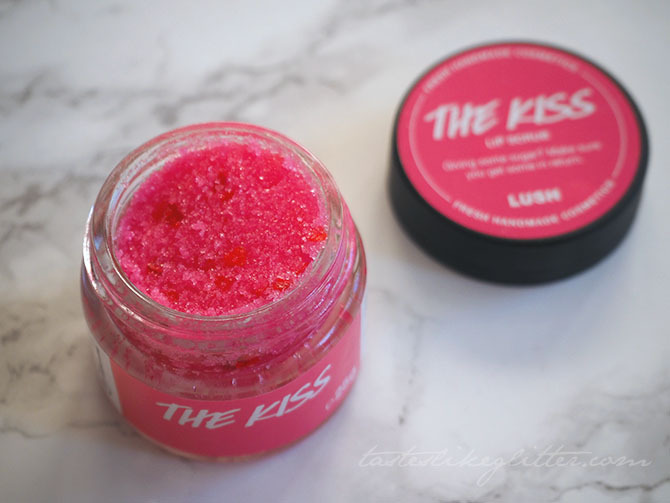 Whilst all Lush scrubs have a base of caster sugar this one feels slightly smoother and less dry in texture on the lips. Compared to Popcorn it definitely feels a little less coarse. It contains fair trade cocoa butter which feels incredibly moisturising when you massage it into the lips. The best way I find to apply it is after I've cleansed and moisturised for the night. I lick my lips, dip a clean finger into the pot and massage the scrub into the lips before licking it off, yummy! Following it up with an intensive lip balm before bed so it can really get to work overnight. In the morning you're left with super smooth lips, ready for whatever lip product you decide to wear for the day. I definitely recommend picking one of these up and adding it to your nightly routine. It really helps keep your lips in tip top condition, giving you a perfect base for liquid lipsticks since they can be incredibly unforgiving. Things I Love Thursday #2. Yankee Candle - Bunny Cake. Flamingo Candles The Melt Crowd - March. I Liked It So I Put A Ring On It. Palmer's Coconut Oil Hand Cream. Yankee Candle - Jelly Beans. Tastes Like Glitter x Plannable Designs. Things I Love Thursday #1.